Donna Jackson-Kohlin, MSN,CNM, CCHP, is a Certified Nurse Midwife (CNM) providing ob/gyn care at the Western MA Regional Women’s Correctional Center. 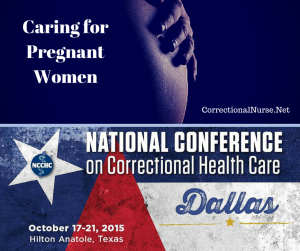 This post is based on the session “Increasing Staff Comfort Levels in Caring for Pregnant Women” that she is presenting with colleagues Theresa Coley-Kouadio and Carly Detterman; one of many valuable sessions taking place at the 2015 National Conference on Correctional Health Care in Dallas, TX, October 17-21, 2015. Learn more about the conference and register HERE. If you work with female inmates, you are likely to regularly care for pregnant patients. 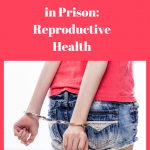 It is estimated that 6-10% of incarcerated women are pregnant at any time in the criminal justice system as almost 80% of female inmates are of child-bearing age. 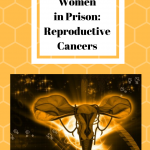 Many of us enter our correctional practice with little experience caring for pregnant women yet we need to manage prenatal and post-natal care while dealing with women at high-risk for premature labor, ectopic pregnancy, and precipitous delivery. There are plenty of reasons to be uneasy about caring for pregnant Incarcerated women. Many have had past complicated high-risk pregnancies, with preterm births, multiple emergency cesarean sections, miscarriages, or stillbirths. Then there are the additional concerns of substance abuse, minimal medical or prenatal care, and undiagnosed medical conditions. Chaotic life situations such as homelessness and abuse add to the complications of care. Recovery from substance abuse, regular meals, and a stable living situation during incarceration can decrease the chances for pregnancy problems, especially for women with high-risk histories.. The incarcerated patient population is less likely to have had regular medical care and more likely to be practicing poor health habits such as drug and alcohol use. Here are several common inmate pregnancy issues. Substance Use: Possibly topping the list of pregnancy risks is substance use. For many reasons, pregnant women can be reluctant to reveal accurate levels of drug and alcohol involvement. 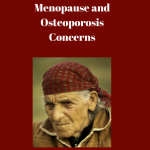 Chronic Medical Conditions: Undiagnosed and untreated chronic conditions such as diabetes and hypertension must be evaluated and managed to minimize risks to the developing fetus. Mental Health: Undiagnosed depression or mental health diagnoses are common in the general population, and more so for incarcerated women. Many women and many medical staff are hesitant to treat depression and anxiety during pregnancy, but untreated mental health conditions lead to poor outcomes. Bleeding: Bleeding can occur at various stages in pregnancy and can be caused by sexually transmitted infections, preterm labor or placental problems. 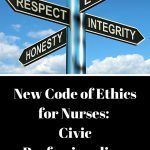 “Be prepared” is a good motto for correctional nurses, as well as scouts. Here are some recommended skills and supplies needed for pregnancy care. Fetal Heart Beat: Be sure to have a fetal doppler in good working order and know how to use it. Check out this prior post on nursing care for pregnant patients for some information links. Emergency Birth Kit: Know the location and contents of an emergency birth kit. Review the policy and procedure on dealing with a precipitous delivery. This might be a good “man down drill” to practice once or twice a year to make sure all staff are familiar with what to do. Learn and Practice: Request inservices from your obstetric care providers to better understand normal pregnancy, delivery, and post-partum care. Take advantage of their knowledge and perspective. Ask for hands-on training with any procedure or assessments you will be asked to perform on your own. Keep ‘Care’ in Your Nursing Care: Listen to your pregnant patients and objectively evaluate their symptoms. Understanding normal and abnormal symptoms is helpful, as is remembering that pregnant inmates may have experienced prior pregnancies numbed by drugs and alcohol. In a drug-free state they may feel increased symptom intensity. Empathy and compassion go a long way in supporting recovery and rehabilitation. In fact, pregnancy and motherhood can be a motivating opportunity for change. Do you care for pregnant inmates? What tips do you have to help staff feel more comfortable with obstetric patients?